I dont know if this picture will help you out or not but its the only one I have on my computer at the moment, if you need some better ones let me know and I will go out and take some. Mine is a 56, 3600 also. Awesome, thanks. If you wouldn't mind could you get a closer up view of the u-bolt plates? 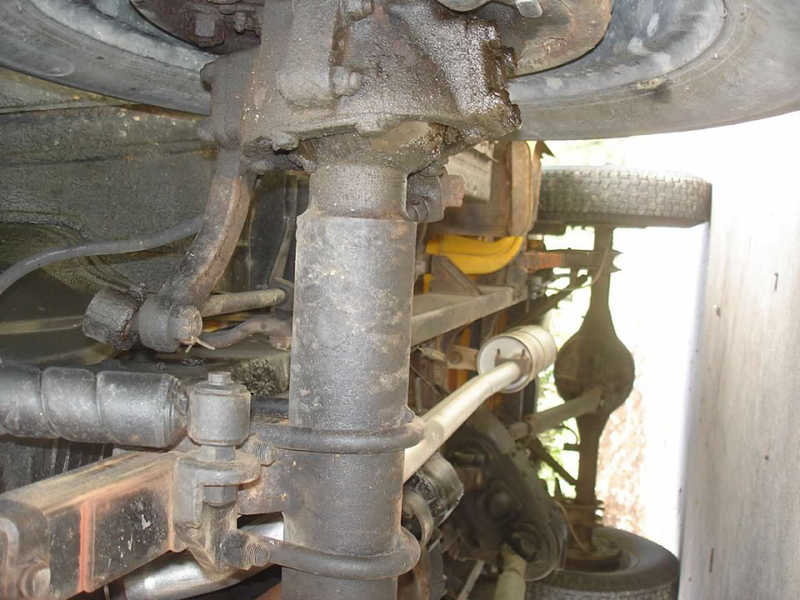 Anyone know if they are carried over from the 2WD axle or were provided with the NAPCO axle? Also, good to see another driver's side drop pumpkin in a '56. All I've read lead me to believe 55 1/2 and newer were passenger drop axles. '51 South Bend Model "A"
1959 GMC NAPCO 4x4, This truck is a rare factory napco 4x4 step side, long bed, Big back window, 4 speed, six cylinder, It has a 270 engine, the engine has been rebuilt by StoveBolt engine co. of Sandy, Oregon. the running gear has been gone though and rebuilt as well. the body is in good condition but there is a little rust in the usual locations. This truck could use a new paint job and the upholstery is worn. Looks to be a Napco from the limited photos $3175! Original plates. 1956 Chevy pickup, 4x4 short bed, step side, 350 v8, 4 speed manual trans, Best offer over $3175. Needs rewired, brakes bled, last started 5 years ago. I just knew someone would know by looking if it was or wasn't. Instead of Where's Waldo its Where's Dana? Lockout question- right now my Napco has drive flanges up front and I'd like to find a pair of lockouts for it instead. Besides Warn M-21's were there others available? I am watching a pair of Selectro's on EBay but hesitant since they aren't Warn hubs and want them to be correct. Just in case someone is looking for one. Junk? I wouldn't go that far--Nice set of spicer lock out's--the good later drum brakes. If it was closer i would grab it. Pics borrowed from another site. Fresh restoration of a 1969 Longhorn C/30 NAPCO. Awesome! I didnt see the 4 sale ad just pics? Holy cow, that's absolutely gorgeous. Wow. Wow. Oh, after drooling over that, I almost forgot about this! Here's a cool 66 C30 NAPCO On ebay now. Wow! That is too sweet! I really like the wheel covers. Ya, not a Napco, but could be useful for somebody with a 60's era K10, or even parts for a K20, as housing and axels are the same, so thanks for posting the link. I think 'junk' might be a bit harsh, as most people would consider just about every part of 'our' era trucks to be junk. I'm assuming you are referring to the unenlightened masses and not one of us, who love our old junk. Sorry if it sounds like I'm trying to stir up s*** because I'm not. I love all the different opinions on this forum, and learn something new every time I log on. What I was trying to intimate was that most 4wd guys would give away that axle because you can get a later disc brake Dana 44 for super cheap that has aftermarket support and will bolt in to our trucks since the general was kind enough to keep the spring perches the same from 55.2 to the end of the straight axle run in the light duty trucks. If someone needs an original drum brake closed knuckle dana 44 for a restoration or parts, then go for it. I couldn’t care less what someone uses on their truck. 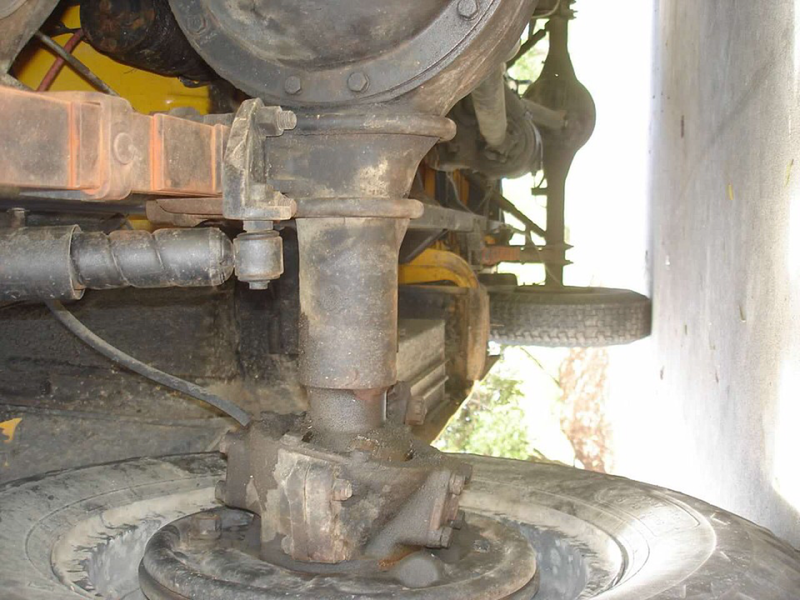 I just didn’t want anyone thinking that’s a napco axle. Here’s a 1954 in nor cal. You mean the younger book smart from magazine trend following crowd. 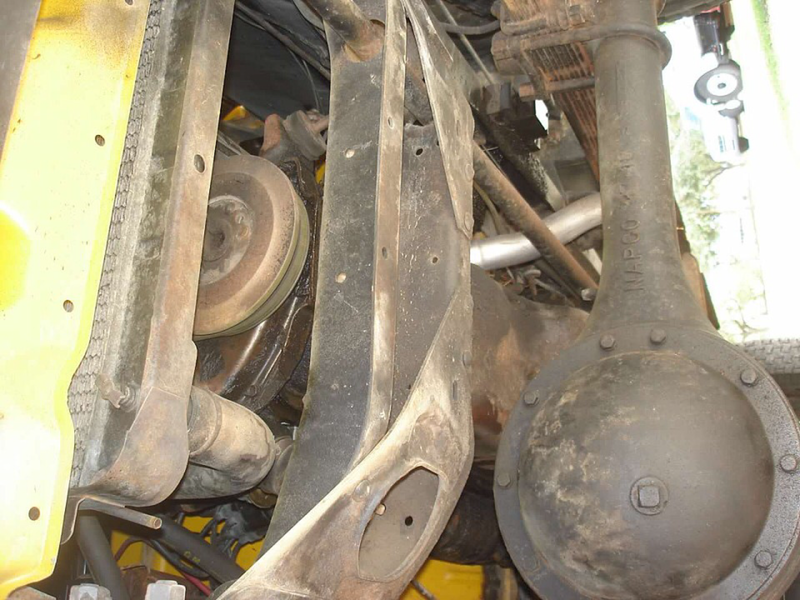 A true 4wd enthusiast will have an appreciation for any and all vintage 4wd parts or components, such as these NAPCOs with their axles with similar design.